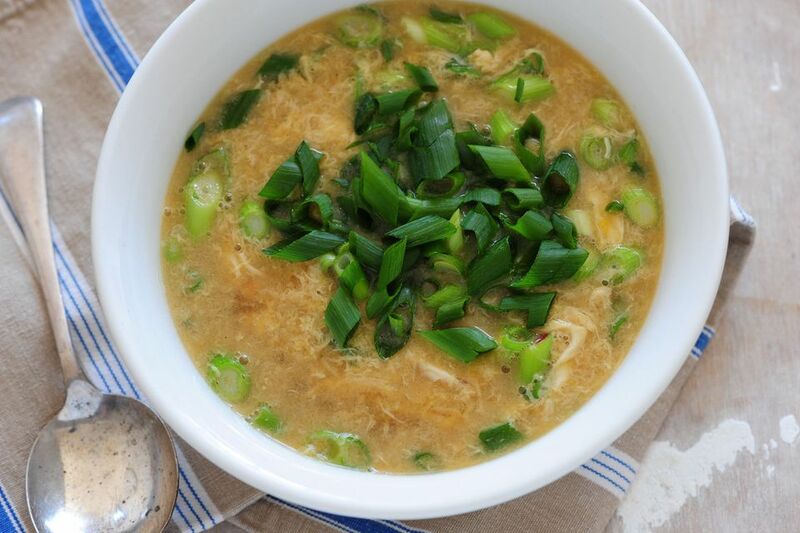 Making egg drop soup is probably the only time you'd want to "drop" an egg in the kitchen. Popular for turning eggs into light and fluffy ribbons, this soup gets its name from a unique cooking technique. As the soup base boils, lightly-beaten eggs are poured in and cooked instantaneously, creating the smooth and silky texture you know and love. Egg drop soup is a staple on the menu at Chinese restaurants across the country and it's surprisingly easy to replicate in your own kitchen. The quick-to-cook soup is also incredibly versatile. A perfect Chinese starter, egg drop soup can be made in many variations, including with your choice of meat or vegetables. This recipe features edible dried seaweed (or zi cai) and ginger for a boost in flavor, but once you've mastered the base recipe, it's easy to customize with add-ins such as mushrooms, tomatoes, or tofu. Try making egg drop soup at home to save running to your local Chinese restaurant the next time you're craving this tasty appetizer! Add the chicken broth or stock to a saucepan or wok along with the seaweed and ginger. Let it come to a boil. Gently pour in the eggs and stir clockwise until they form thin ribbons and bring to a boil again. Season the soup with salt and white pepper. Garnish with chopped spring onions and a drizzle of sesame oil.